There are many kinds of bumper boats for sale in Beston Amusement that sold to Australia. Bumper boats is one of the most popular water amusement park ride that uses inner tube shaped watercraft that can be steered by the riders or drivers. Bumper boat is different from bumper cars. Some of them are driven by electric motor while others are operated by gasoline, even some of them should be pedaling by riders. There are also some water gun and laser gun bumper boats. 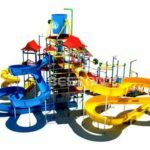 They are popular used in the water parks, theme parks, amusement parks, family fun center and other water activities. As one of the professional bumper boats manufacturer, Beston has sell many bumper boats to Australia. Battery and motorized bumper boats, kids and adults bumper boats, inflatable and fiberglass bumper boats, laser and water gun bumper boats, coin operated and other types of bumper boats for pool. As we all know, battery operated bumper boats are operated by battery. The power supply system is installed in a fully hermetically battery compartment which include a leaded battery. Battery bumper boats need not inflated by people and the intense collusion will not cause break. We use imported high toughness high-strength ani-ultraviolet polyethylene material which is strong, resistant to acid and alkali, green to the environment (compare with the gas powered bumper boats). Gas powered bumper boats are powered by gasoline engines, they will provide great power to improve the speed of these boats. Usually, gas powered bumper boats run fast than the electric bumper boats. Nowadays, electric bumper boats has replaced the gas powered bumper boats. Coin operated bumper boats are operated by coins. When people insert in some coins and press the start button, the bumper boats will be move. 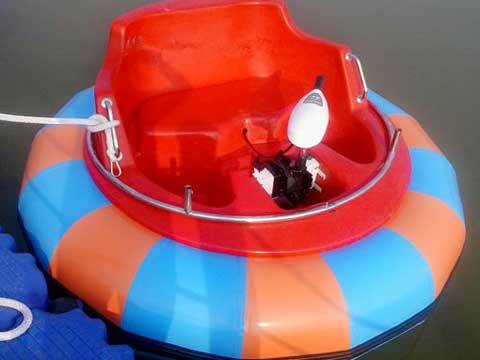 Coin operated bumper boats mainly designed for kids, they are small, easy to handle and maintain. They will be placed in the small pond and some large inflatable swimming pool, just like the hand paddle boats. If you want to play with these boats for long time, then put in more coins. Laser and water gun bumper boats means these bumper boats is different from the common bumper boats, they will be equipped with laser gun or water gun. Riders could shoot each other for fun by these tools. Once one of them has been shoot. They will lose their “life” for one time. They are more attractive to kids than the ordinary bumper boats. 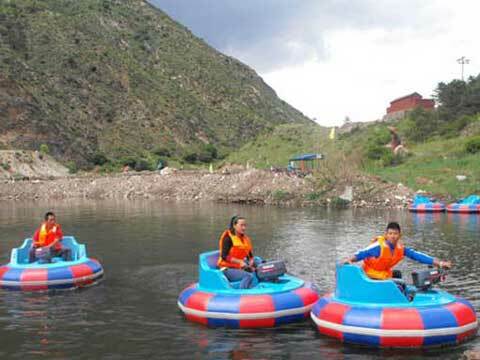 Inflatable bumper boats are made of inflatables, they are light and cheap to invest. They could be made with different features. They are convenient for the business owners to purchase and store. Because of its material, inflatable bumper boats are suitable for shallow water pool or pond or inflatable swimming pools. Beston is a large and professional bumper boats manufacturer who has exported many sets of bumper boats to Australia, Uzbekistan. We corporate with many amusement park and amusement rides business owners. We have involved in this industry for more than 10 years. 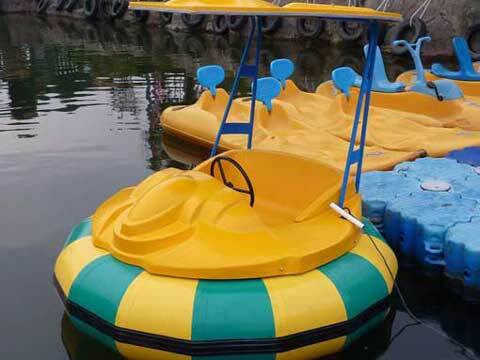 The bumper boats from our factory are made of high quality PVC, plastic and fiberglass. Choose Beston Amusement, you will win in the water rides business.